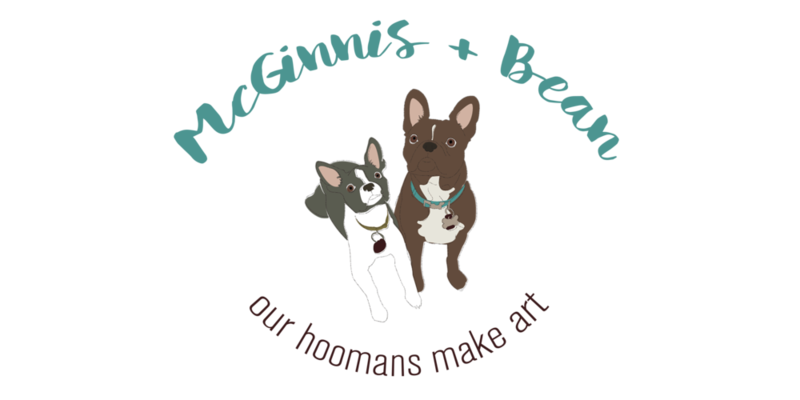 McGinnis + Bean are happy and energetic pups excited to share the creative endeavors of their hooman parents with the world! Have questions? Want to order something custom or commission new work? Just want to say hi? You've come to right place!